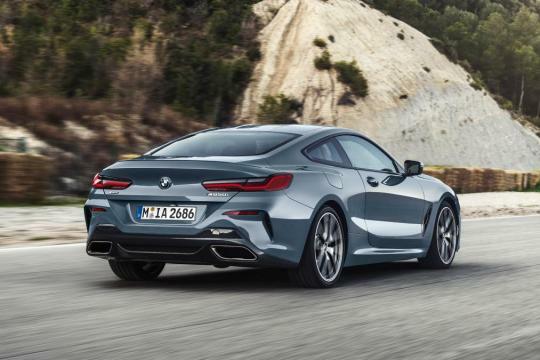 The BMW 8 Series has returned to the German firm’s lineup after a near 20-year absence. A two-door coupe will be the first of three body styles that will make up the range, which will grow to include a convertible as well as four-door Gran Coupe by the end of next year. Pitched as a rival for everything from a Mercedes S-Class Coupe right up to the Aston Martin DB11, the German firm believes it has created a car with a broader breadth of abilities than any of its competitors packaging luxury buyers expect of a flagship car with the performance of a sports car. 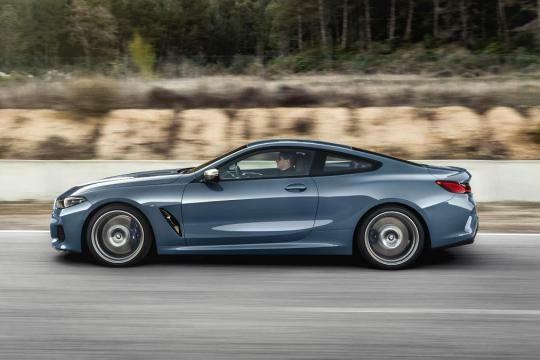 And the 8 Series is not just a shortened version of the 7 Series saloon with two fewer doors, says the BMW. The coupe gets a unique chassis, suspension and powertrain setup, while tech borrowed from the firm’s GTE Le Mans racer has been sprinkled throughout the car. BMW is particularly proud of the car’s proportions, particularly the elongated bonnet, cab rearward silhouette and muscular rear haunches, while it also features a carbon fibre roof to help lower its centre of gravity. The 8 Series measures in at 4,843mm long, 1,902mm wide and 1,341mm tall. At launch the 8 Series will be available with two engines: one diesel badged 840d and one petrol badged M850i. The diesel model makes use of a 3.0-litre 6-cylinder engine developing 320bhp and 680Nm of torque. 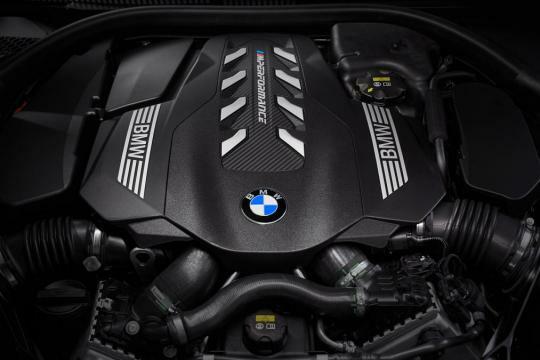 The M850i is powered by a 4.4-litre twin-turbo V8 developing 530bhp and 700Nm of torque. BMW says it will be capable of 0-62mph in 3.7 seconds and a limited top speed of 155mph. Both variants come paired with BMW’s xDrive adaptive all-wheel drive system and an eight-speed automatic gearbox as standard. 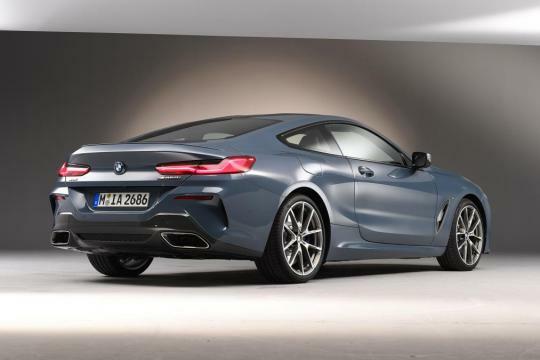 The M850i will be the flagship model in the range until a more potent M8 coupe arrives next year. 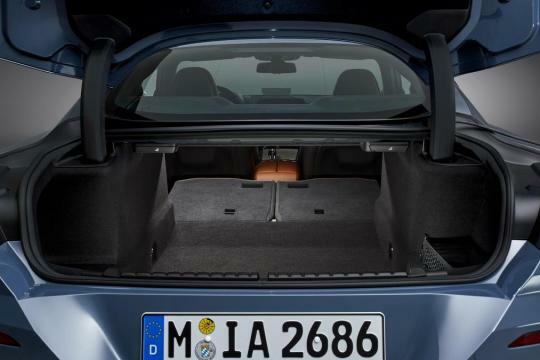 As standard the car features active rear wheel steering, adaptive M suspension, a limited slip differential on the rear axle and a sports exhaust. The only mechanical option buyers can spec is active anti rolls bars, which are designed to improve stability and grip during cornering. 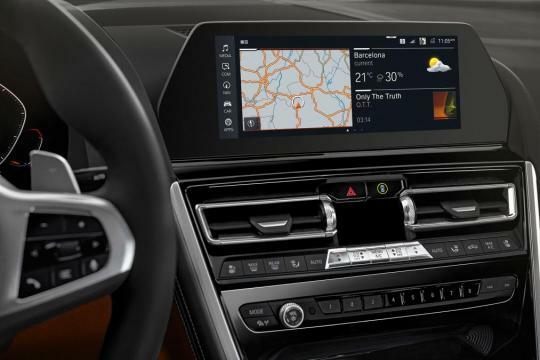 The 8 Series is also the first BMW to feature the firm’s new generation of iDrive infotainment, which is accessed via a 10.25-inch display on the dash. The system still operates by the iDrive controller on the centre console, but those inside also have the option of using touch, voice or gesture control to operate the system. It also incorporates 20GB of hard drive storage, Bluetooth and WiFi. Given the 8 Series sits at the very top of BMW’s model portfolio it comes as standard with a wealth of equipment such as a full leather interior, LED headlamps, a Bowers & Wilkins stereo, 19-inch alloy wheels and adaptive cruise control. 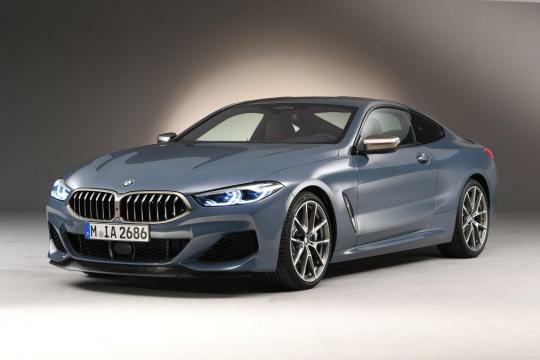 Due to arrive 2019, the M8 will make use of a version of the 4.4-litre V8 twin-turbo engine from the latest M5 saloon, but tuned to deliver upwards of 625bhp. 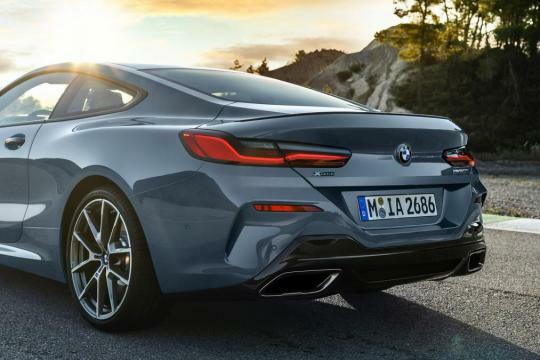 Combined with selectable xDrive four-wheel drive and an eight-speed automatic gearbox, the M8 will be able to cover 0-62mph in less than 3.3 seconds. The M5 Competition is currently the fastest model in BMW’s lineup. 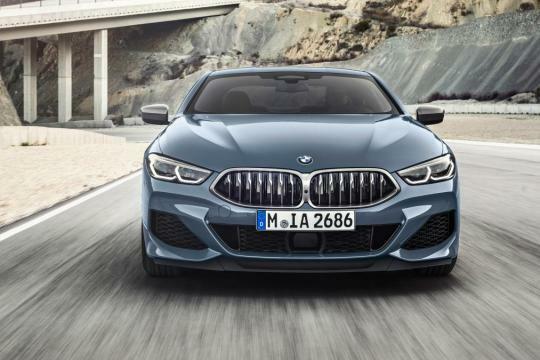 However, the full M treatment won’t only be reserved for the two-door coupe; BMW plans to create M versions of the Convertible and four-door Gran Coupe to broaden the model’s appeal.